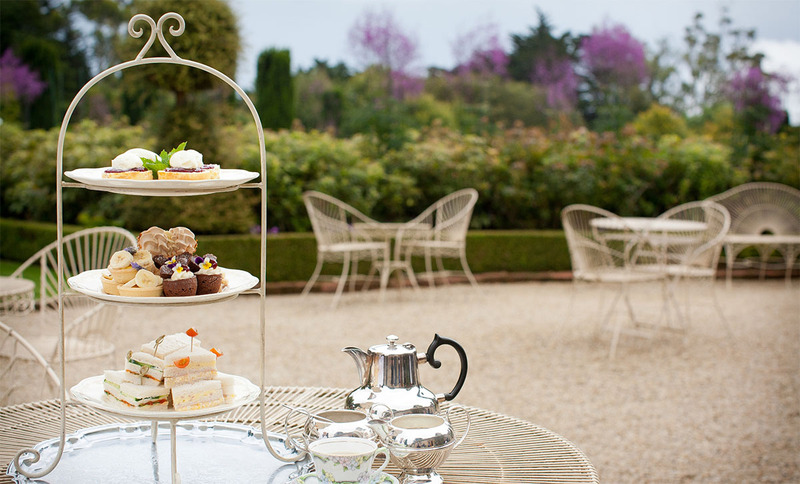 Experience High Tea at Larnach Castle, served in the garden or beside the fire in the Castle's historic ballroom. High Tea is available between 2pm and 3pm daily. Pre-booking is required 24 hours in advance of arrival. High Tea includes a selection of home made sandwiches, slices, scones and cream cake and a pot of tea. Please inform us of any dietary requirements you may have in the comments section when making your booking. Includes High Tea plus entry to the Castle including the tower, ballroom cafe, gift shop, Castle gardens, grounds, historic stables and outbuildings. Informative brochure provided, in several languages, for self-guided tour of Castle, gardens and grounds. Includes High Tea plus entry to the Castle's gardens and grounds, ballroom cafe, historic stables and outbuildings. Informative garden and native plant trail brochures and maps provided to assist with exploring the gardens and grounds. If you are visiting with extra people who do not wish to have High Tea, you can purchase separate entry tickets for them at checkout. Click 'add another product' at checkout and add the ticket type without High Tea as needed. Children aged 0-4 receive free entry into Larnach Castle and thus do not require tickets.